For two years, I had asked the school district in the small community where I teach for a personal computer for my fifth grade classroom. Although they were interested in the idea, the answer was always no. I could see their point, what would the people say if the school district ‘wasted’ the taxpayers money on an expensive ‘toy’ for some ‘kids’. I tried to get a classroom computer by writing to the state and the federal government for grants. Still no luck. I had purchased one of the first PETs on the market and for three years had been bringing it into my classroom periodically. Although student interest was unbelievable, it was always a hassle to cart it and some programs to the school and then take it home again. It was during one of the times that my computer was in the classroom that one of my students asked why we didn't get one for the classroom. I explained my dilemma to the class and it was brought up that they could raise the money themselves. That option had crossed my mind before, but I had dismissed it. How could a group of fifth graders raise enough money to purchase even one of the cheapest computers? During the discussion that followed it became evident that the students were really excited about raising the money. We started talking about ways to raise money, and found that most of the ideas we came up with would only raise a small amount of money. After much discussion we came up with three ideas that had a good possibility of raising us a lot of money. The first idea we called ‘Operation Donation’. In this phase the students would go from door to door asking the people in the community for donations. We planned to run an ad in the local newspaper listing the people that gave over two dollars. There would be special recognition in the newspaper for people who gave $10, $20, $50, and $100 or more. Also for over $100 they would get their name engraved on the side of the computer. We set up some guidelines on what the students should say and how they should act. The most important was to be friendly even if the people didn't give. Some rules for safety were also set up. The students had to get permission from their parents. They weren't to go out after dark. They were not to enter the person's house and the students were to go out with a partner. To keep track of where the students were to go, and where they had been for donations, we made a large map of the city. The second idea was to go to the area service clubs and ask for donations. We wrote letters to the presidents of all the clubs and explained to them what we were trying to do. We told them that we would attend a meeting and answer any of their questions. We also promised to present a program on the computer after it arrived. The third idea involved writing letters to everybody that we thought might give us a donation. We designed some letterhead to make the letters look official and came up with a base letter that the students could use as a guide to follow when writing their letters. Some research got us the addresses of over 100 foundations that give educational grants. We found addresses for about 200 corporations that we thought might be interested in our project. Included in this list of addresses were the addresses of all the major computer manufacturers. We were now set to begin the campaign. The students came up with the name ‘Kids for Computers’ and elected officials to take care of the minor details and the paperwork. The local newspaper ran an article explaining what we were trying to do. An area business put ‘SUPPORT KIDS FOR COMPUTERS’ on their billboard. And ‘Kids for Computers’ got down to work. We took two class periods and the students wrote letters. When you have 32 students writing letters, it doesn't take long to write A LOT of letters. The students also wrote letters in their free time at school and at home. We took another class period and came up with answers for any questions that they might be asked when they went out asking for donations. 'Operation Donation’ was a real learning experience for the students. Not only did the students develop new social skills by talking and working with others, they also learned first hand about many of the people in our community. Most of the people were really kind and friendly even if they didn't donate. Two weeks after the students began asking for donations it became evident that we were easily going to receive enough money for a personal computer. We had already collected almost $1000 and we hadn't received any responses from our letter writing campaign. Now ‘Kids for Computers’ had to make a decision as to which type of computer to purchase. After much research and talking with the owners of some of the micro-computers available we narrowed the choice down to either a PET or an Apple. It was the opinion of the group that these computers were the most dependable and had the best features for the money. 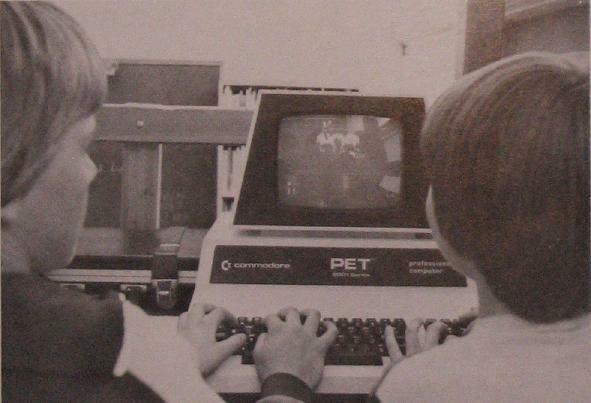 Our final choice was the Commodore PET for two reasons. Commodore was offering their three computers for the price of two. We figured that we could buy one Apple and a color monitor for the same amount that we would have to pay to get three PETs. But what really turned us in favor of the PET was a call that we got from Commodore. 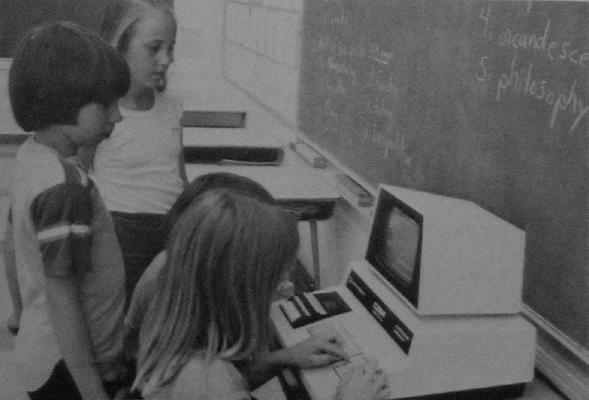 The Commodore Educational Director called and asked for the president of 'Kids for Computers". John, the President of 'Kids of Computers' had written a letter to Commodore asking for a donation. After talking with John, Commodore decided to donate a used PET to the group. The local Kiwanis club donated $100, which put pressure on the other service clubs. And soon it looked as though buying two PETs would be possible. At about this time the letters from the corporations and foundations started coming in. Again, we were amazed by the response. Most sent back a nice personal letter explaining the reason that they couldn't donate. Some sent us cash donations; others donated items to help our cause. Texas Instruments sent us a calculator, General Mills donated a case of Cheerios, and Milton Bradley sent us one of their computer games. Because of a student letter, Boeing Computer Services in a nearby town decided to donate a computer to the group. They also decided to start a program 'Computers for Kids', in which they will donate a computer a year to different area elementary schools. With the money we had collected we put in an order for the two Commodore PETs and within two weeks they arrived at the school. The one Commodore donated arrived soon after. The students came up with some rules on when the computers could be used and by whom. 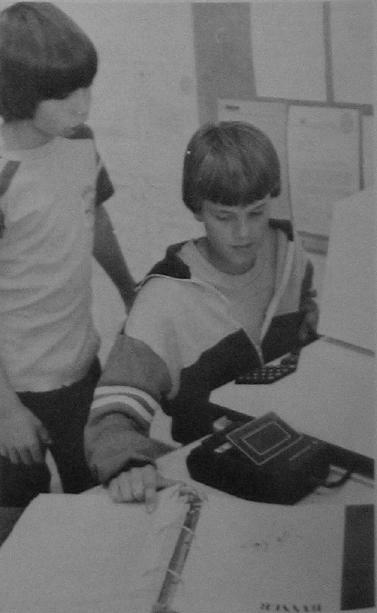 It was decided that before a student could use a computer they had to learn the basics of loading and running a tape. The student would then take a test and if they passed the test they would earn a Computer Operator License. A student had to be finished with all his schoolwork, have a Computer License, and have permission of the teacher to use the computer. The license could be cancelled if the student broke any of the rules or abused the computers. It didn't take long for all the students to get their licenses and it was amazing how they started getting all their schoolwork done. A schedule was set up that took advantage of every spare moment during the day. The students signed up on the schedule in a order chosen at random by the computer, and the students first to choose one week are the last to choose the next week. I brought in all the computer programs that I had and the first two weeks with the computers was 'Computer Play'. By playing the computer games, students learned more about the keyboard and overcame much of their fear of using the computer. After the students had a chance to use the computer games and see what the computer could do, I began teaching them the basics of the BASIC language. Although the students still enjoyed playing the games, they started spending more and more time typing in prewritten programs and trying to write and debug programs of their own. The students had fun trying to get the computer to do what they wanted it to do. As of this writing, we have had three computers in the classroom for two months and just received the fourth. We are expecting the fifth (from Boeing) in about two months. I have tried many classroom projects to build student interest in learning, but none have had the effect that the computers have had. Computers turn kids on to learning and school as a whole. Students like coming to school and enjoy the excitement that computers create. Since the first day that the computers arrived, I have been met at the door daily by students wanting to use the computers and at the end of the day, students use the computers until I leave. Kids for Computers have many more plans on the drawing board. We are developing ways of giving other students in the school exposure to the computers. We are also trying to set up an evening class for interested parents, taught by Kids for Computers. Other plans include raising money for a printer and a floppy disk (the cassette recorder uses too much of a students valuable user time). Don't be surprised if someone knocks on your door and asks for a donation to ‘Kids for Floppy Disks’!